This seagull glances to its side as it realizes someone is treading on their home. 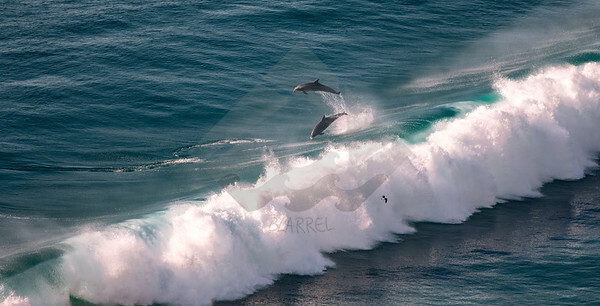 Two dolphins shoot out the back of a crashing wave on a perfect day. 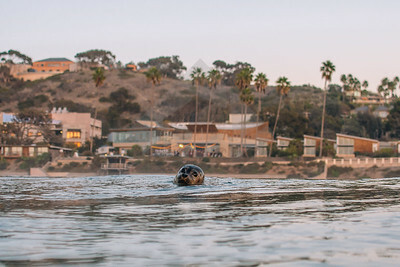 A local seal floating by in front of Caroline's at Scripps Institute of Oceangraphy. 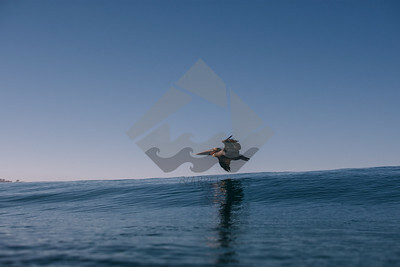 This shot of a pelican in take-off position was taken on Friday, January 18th, 2019 during the swell of some of the biggest ocean waves to hit San Diego. 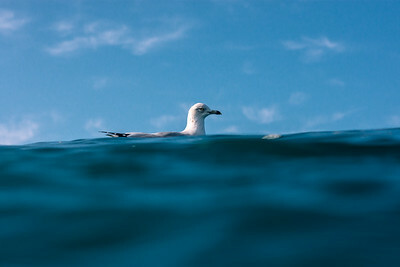 This bird was the only thing that was able to calm the photographer on the swim towards the massive surf. 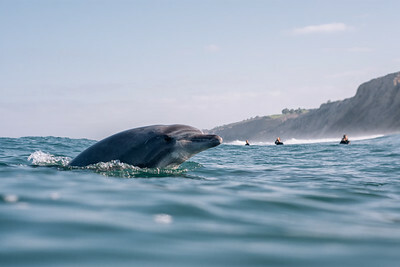 A dolphin surfaces and gives a friendly smile. 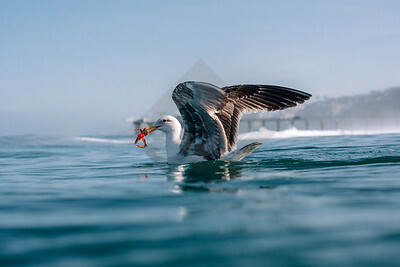 A seagull sits on the surface displaying their freshly caught tuna crab. Also known as goosebumps. 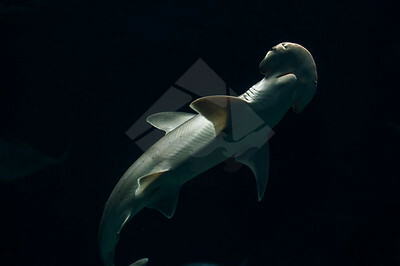 A bonnethead shark swimming upward to show off its length. 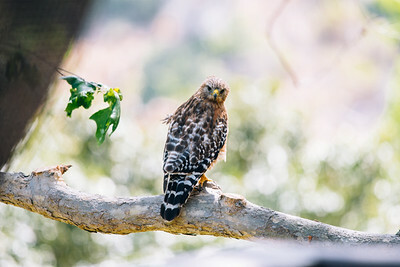 A red-shouldered hawk perches on a branch and looks back to glare towards you. 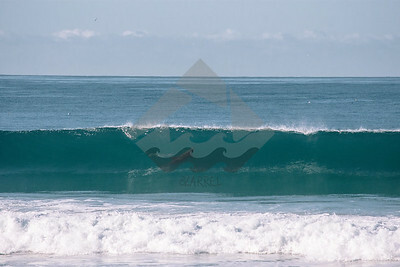 A dolphin breaches at the top of this A-frame wave while surfers share the ocean with the beautiful creature. 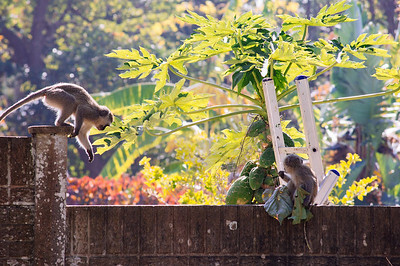 A vervet monkey walks across the brick wall towards another younger vervet feasting on the vegetation of a residential area of Durban, Kwa-Zulu Natal, South Africa. A dolphin turns upward while surfing a very clean and clear wave. 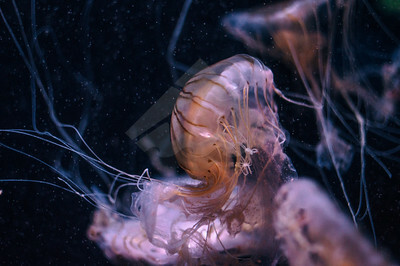 Taken moments before a spectacular breach. 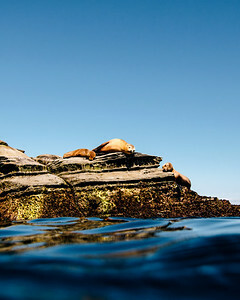 Three local sea lions lay in the summer warmth from the sun on a hot, clear day on some rocks at the ocean side. 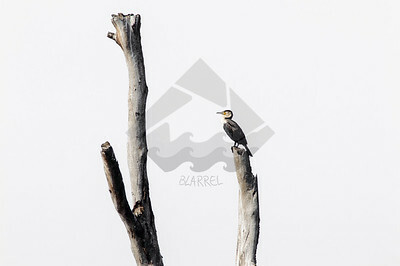 A white-breasted cormorant sits on the tip of a branch looking towards a taller branch of the same dead tree. Taken at Tala Game Reserve in Durban, Kwa-Zulu Natal, South Africa. 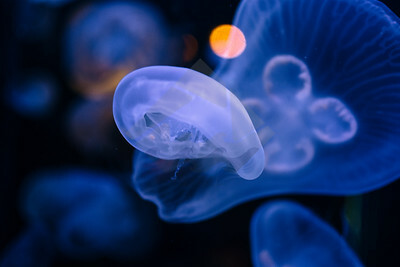 A jellyfish drifts upward among its peers. 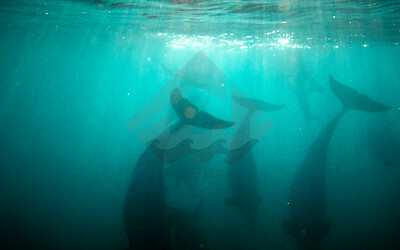 A pod of dolphins swimming down from the surface near Ansteys Beach in Durban, KZN, South Africa. 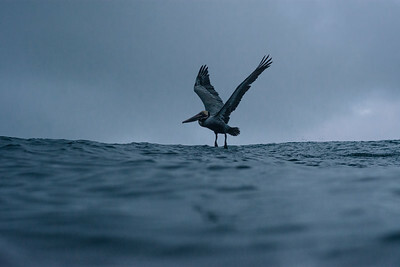 A California brown pelican glides across the surface of the ocean to get an easy commute. 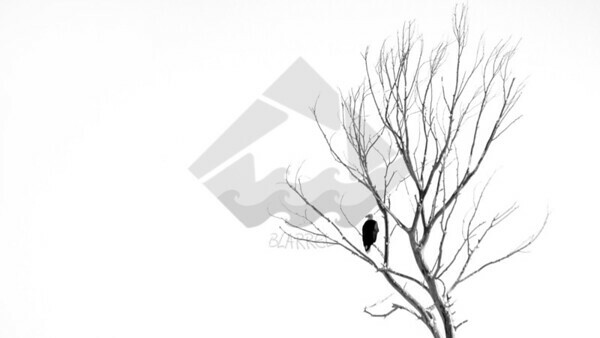 A bald eagle perched on a leafless tree in the middle of winter. 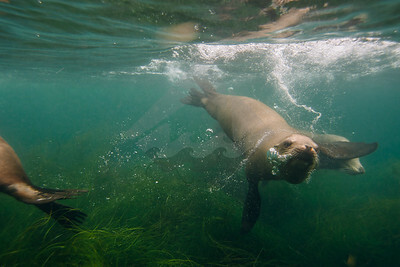 Curious sea lions dive down and hit each other with their flippers. 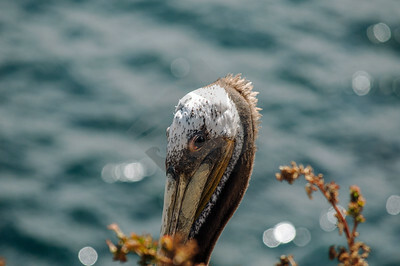 A California brown pelican sitting behind some bushes. Two clownfish swimming beneath an anemone. 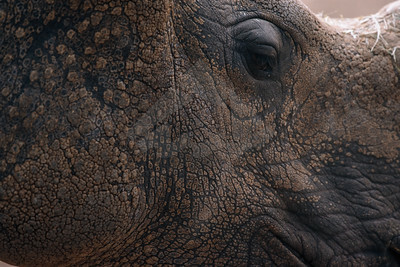 A rhinoceros up-close and personal.